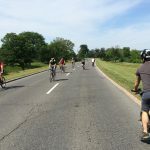 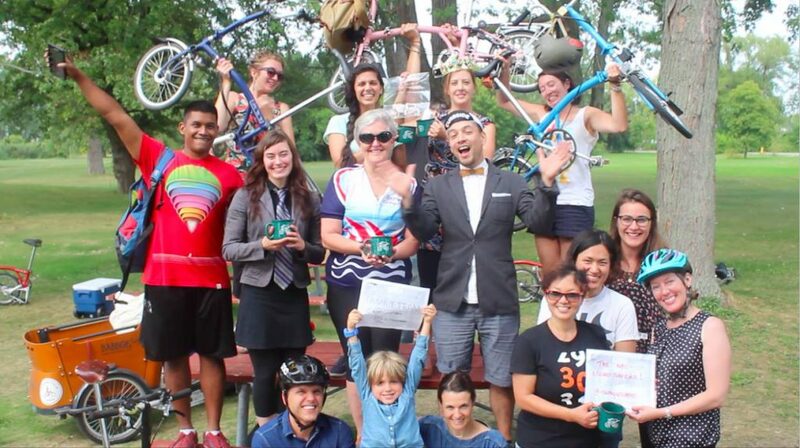 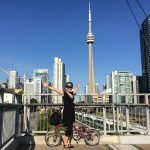 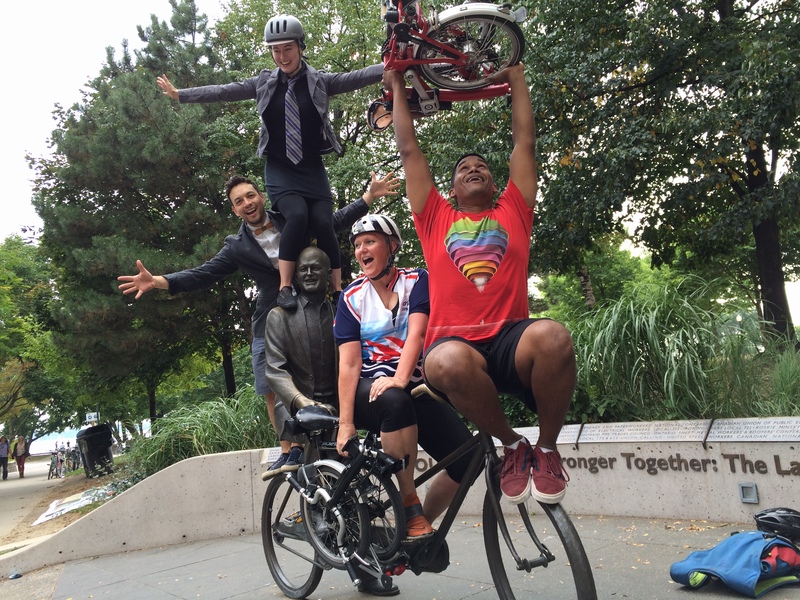 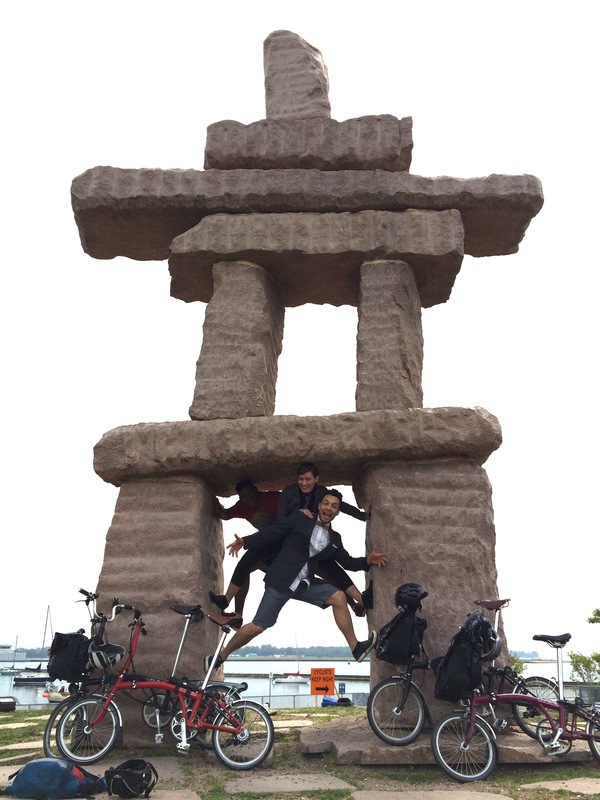 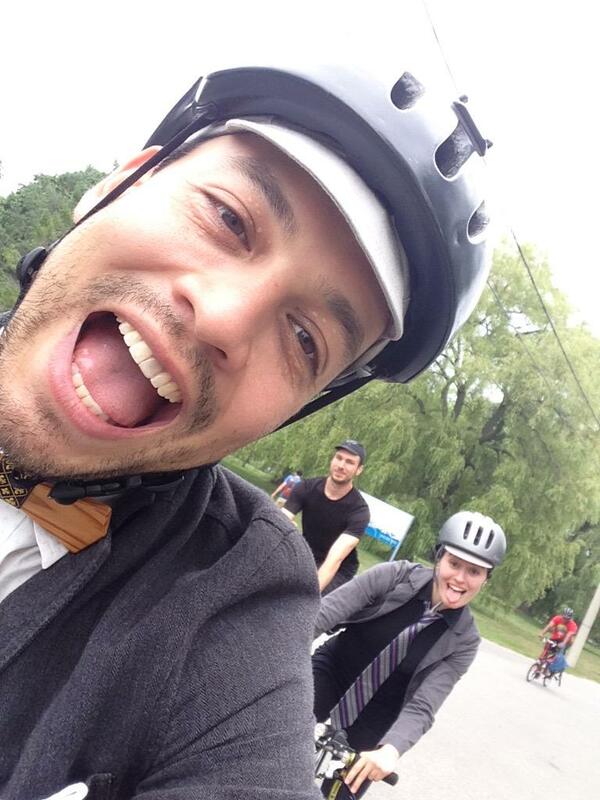 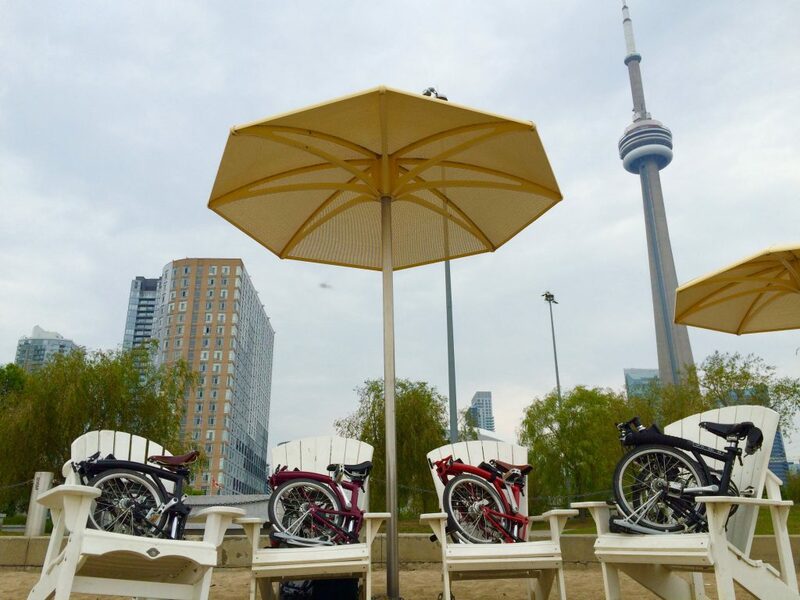 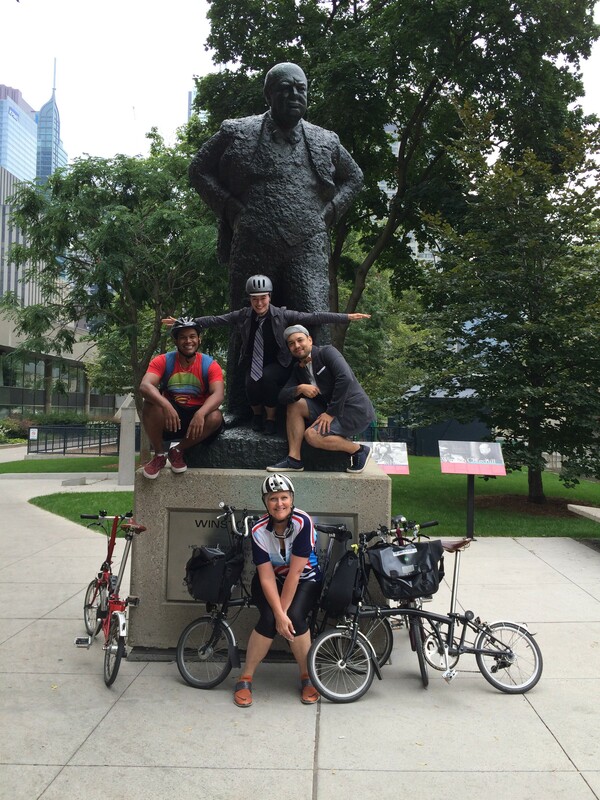 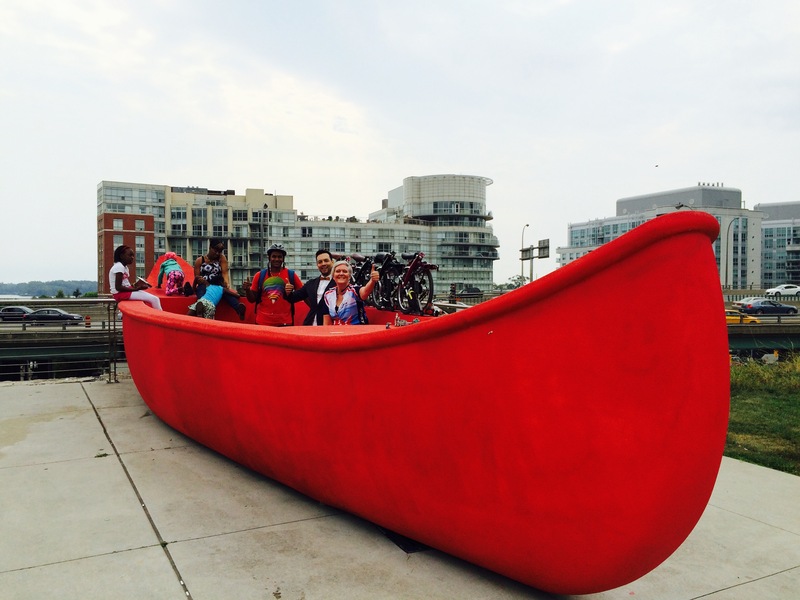 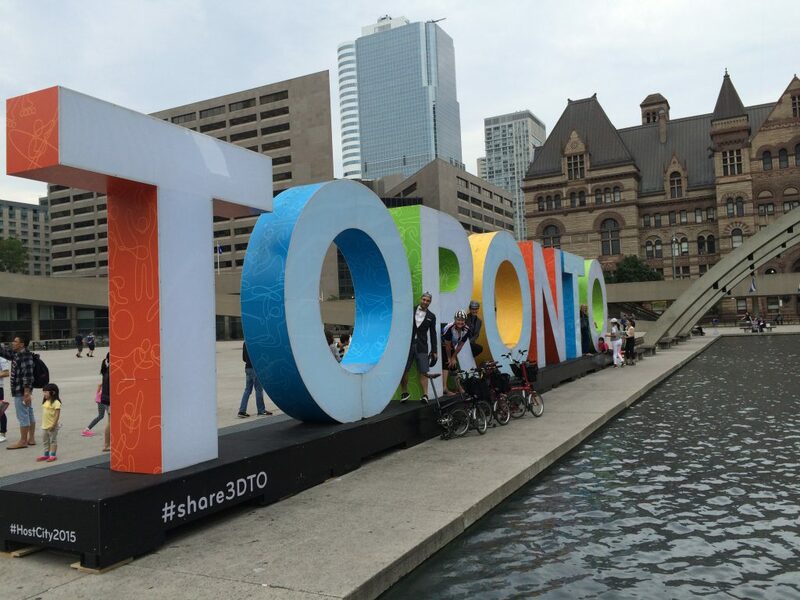 Get set to be invaded by Bromptons, Toronto! 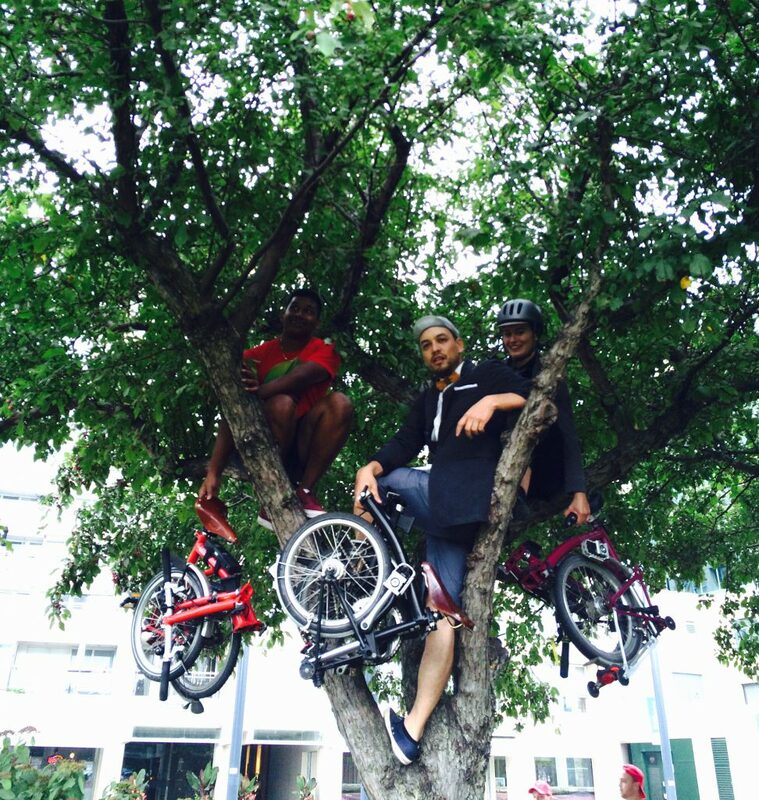 This challenge was to get Three in a Tree! 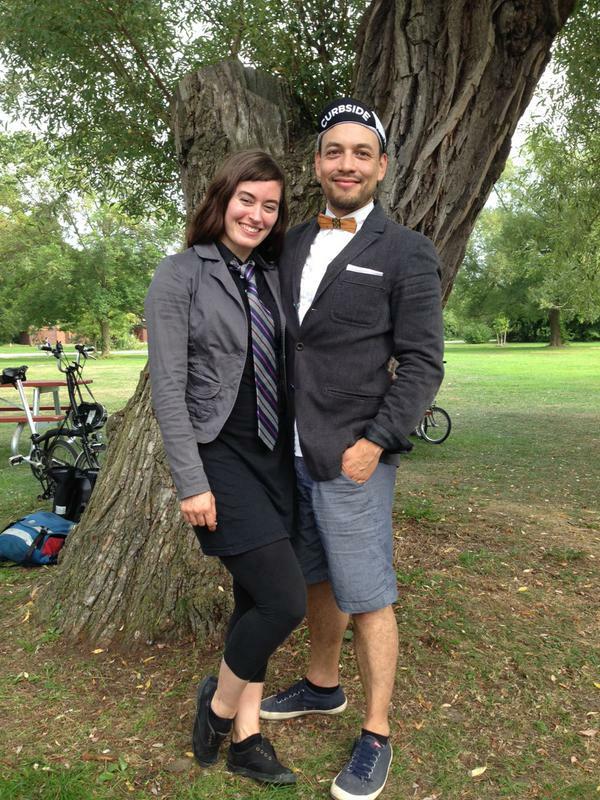 Pier and Heather in their Bromptoneering outfits. 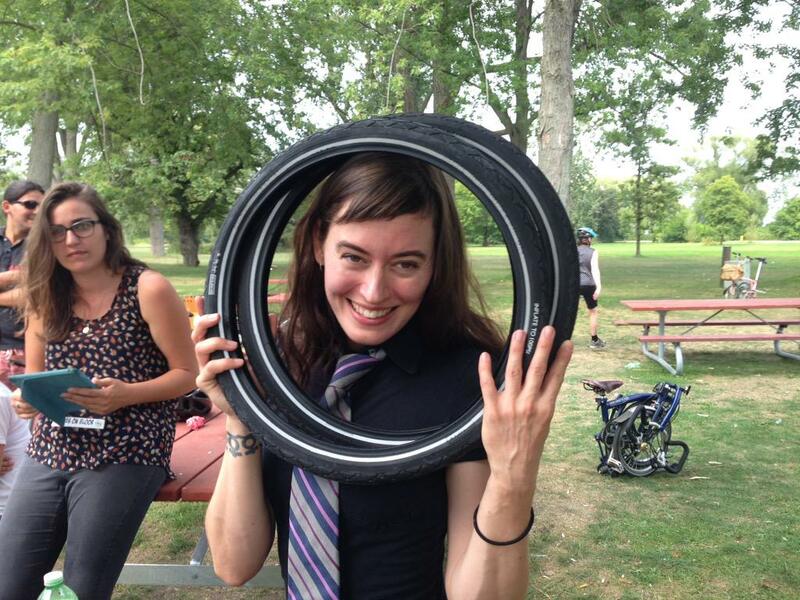 Pier won us some tires in the tire toss! 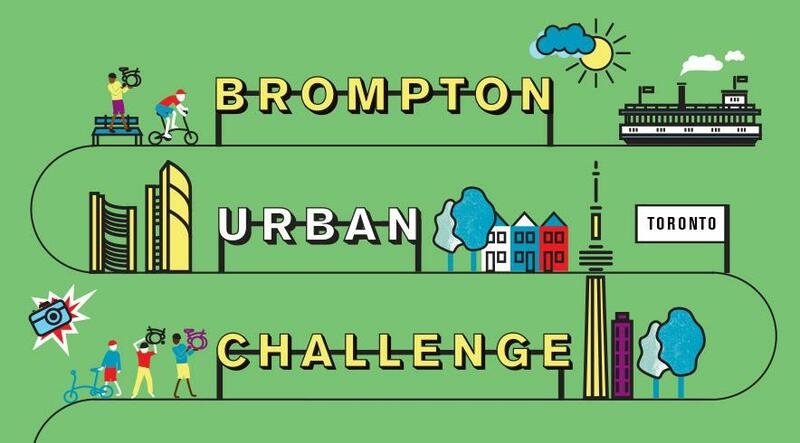 The 1st Brompton Urban Challenge winners! 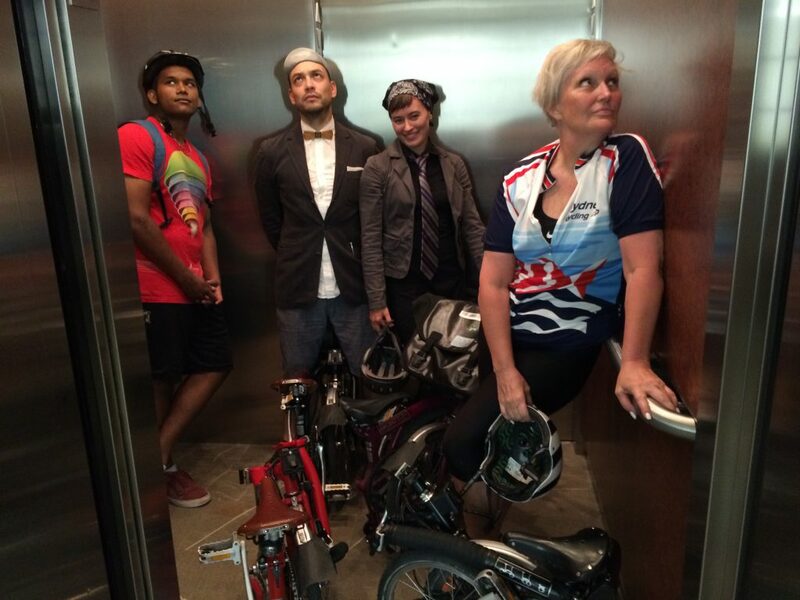 Team Sporty Spice came in second place!